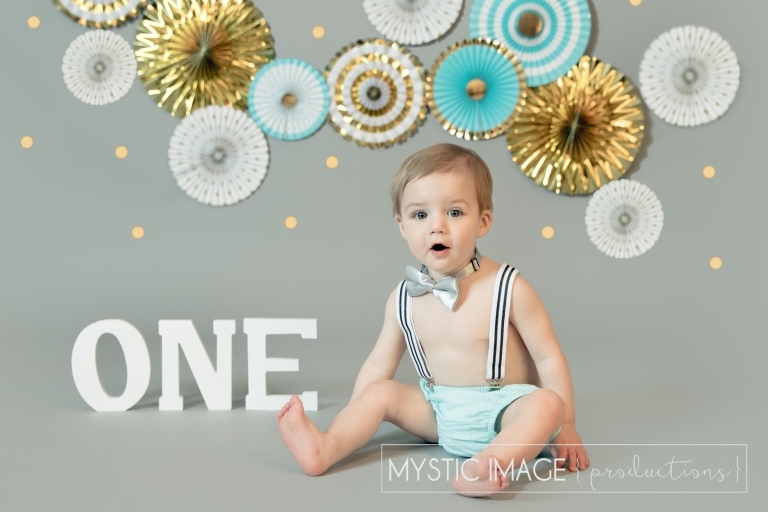 I am so excited to share George’s First Birthday Portrait Session shot here at Mystic Image’s Studio with you today on this Happy Happy Friday! I know it’s early in the day, but I would like to invite you to play a quick little game with me. Put your hands up, start to shake them back and forth and now squeal!!!! EEEEE!!!! This is how I feel about this session!!! I mean come on! Look at this kiddo!!! I honestly can’t believe it’s been over a year since I last photographed this adorable little fella. What an absolute cutie pie!!! George has to be one of the most laid back children I’ve ever had the pleasure of having in front of my camera. I know that you’re probably all wondering and the answer is YES! He’s way better in front of the camera than my own son – lol. Heck, even as a newborn he was so easy going. 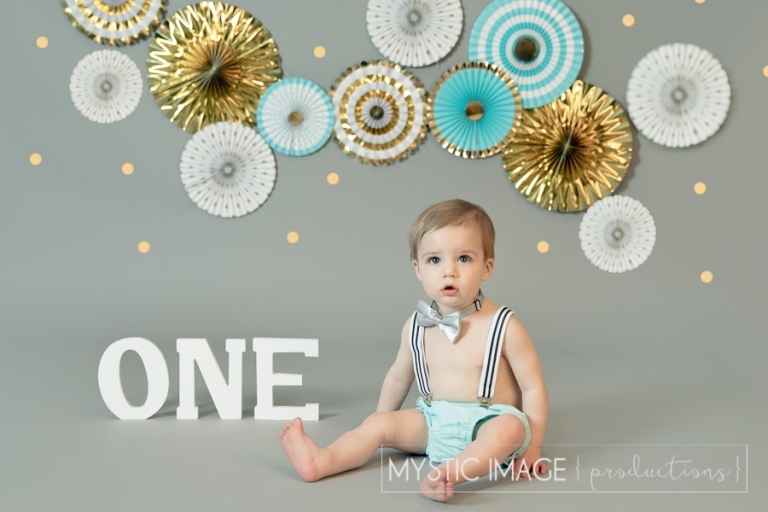 This was why I was so thrilled when his mommy asked me to shoot his 1st year photos. George, I’ve got to say that you never let me down and I am so honored to have been able to shoot your first year of life. You are such a sweet child and rock star in front of the camera. Mommy and daddy should be proud!